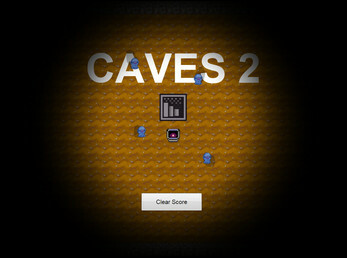 Caves 2 is a procedurally generated adventure game where you must explore the dark and escape. No level is ever the same, every map is uniquely generated when the level loads. With no way to go back you must push forward. Your only equipment are the bombs you carry and your torch. This is a work In progress so some things may not look/work as expected. Please help me improve this game by reporting any bugs that you find. Caves 2 is just a project title. Final name to be decided.